Whether you’re looking for an easy way to transfer the title of your vehicle, obtain your New Mexico driver’s license, or schedule an emissions test, MVD Express is here to help. Unlike other MVD facilities, we make it fast and easy for you to complete everything your car needs to ensure your safety and the safety of others on the road. Nobody wants to spend half of their day waiting in line at the MVD, which is why we give you the option of scheduling your appointment in advance. Want to make your trip to the MVD as quick and painless as possible? Contact MVD Express to get started today! When a vehicle is left abandoned on your property, you have a few options of how you can take care of the situation and get the vehicle off of your property as soon as possible. You have the option to leave the vehicle there and wait for someone to pick it up, call a company to tow it off your land, or you can put an abandoned vehicle lien on it. Why Put a Lien on an Abandoned Vehicle? 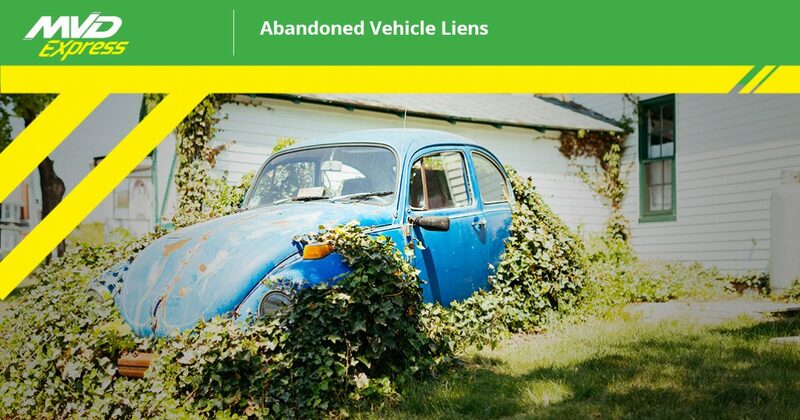 There are many reasons why you might consider putting a lien on an abandoned vehicle. You might want to sell the car to pay off a debt that the car’s owner owed to you, or you might want to sell it for parts. If the car is old and not worth selling, you may choose to use some of the parts to restore another vehicle, or if the vehicle is in good condition, you might want to keep the car and drive it. It’s important to keep in mind that you can only do something with an abandoned vehicle on your property once it is legally yours. As a private property owner, you have the right to dictate what is allowed on your property within the limits of the law, and at MVD Express, we can help you apply for and secure a lien for an abandoned vehicle left on your property. 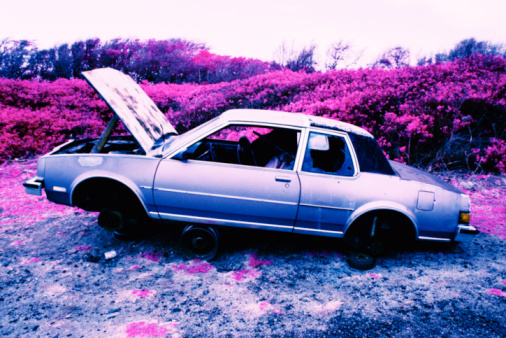 The process for putting a lien on an abandoned vehicle can be complicated and involves many steps. For example, once you put a lien on the vehicle, you are required to post it for sale before you can claim it as your own. Additionally, there are certain rules and guidelines that you must follow every step of the way, making the process stressful if you don’t know what to expect. Contact MVD Express About an Abandoned Vehicle Lien Today! If you have an abandoned vehicle on your property, MVD Express is here to help. Instead of going through the complicated process of putting a lien on the vehicle alone, our experts will be there for your every step of the way. In addition to all of the MVD services that you would find at a traditional facility, we also offer abandoned vehicle lien support to help you file the paperwork and navigate the process. If you’re ready to get started, contact one of MVD Express’ 10 convenient locations in New Mexico and we will be happy to lend you a hand.